The Governor signed into law the sale and use of non-explosive fireworks. This is limited to non-explosive such as sparklers, glow worms, smoke devices, party poppers and snappers. Sale of said non-explosive fireworks are 16 years of age and over. A 2009 report from the National Council on Fireworks Safety indicated that sparklers are responsible for 16 percent of legal firework-related injuries in the United States. 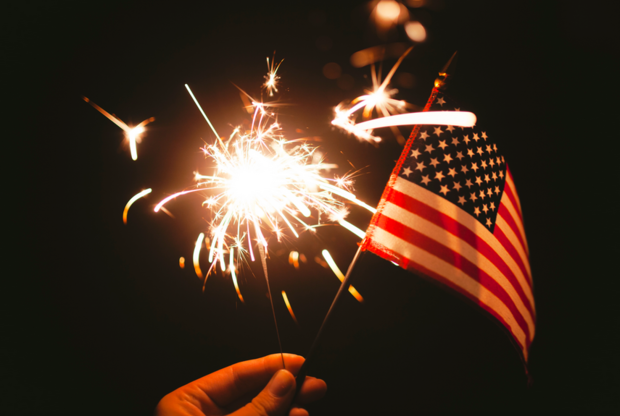 The U.S. Consumer Product Safety Commission‘s statistics from the Fourth of July festivities in 2003 indicate that sparklers were involved in a majority (57%) of fireworks injuries sustained by children under five years of age. The devices burn at a high temperature (as hot as 1000°C to 1600°C, or 1800°F to 3000°F), depending on the fuel and oxidizer used, more than sufficient to cause severe skin burns or ignite clothing. Safety experts recommend that adults ensure children who handle sparklers are properly warned, supervised and wearing non-flammable clothing. As with all fireworks, sparklers are also capable of accidentally initiating wildfires. Adult Supervision-Even legal fireworks should only be used with close adult supervision. In New Jersey, no one younger than 16 years of age can purchase sparklers. Adults should always be present when lighting or handling fireworks. Never allow young children to light or handle fireworks. Sparklers can burn at temperatures as high as 1,800 degrees. Look for Labels and Read the Instructions: The law requires instructions and warnings labels. Outdoors Only: Use sparklers outdoors, only in clear areas, away from houses, buildings, and dry grass. Be sure to use them only on flat hard surfaces. Let Sleeping Sparklers Lie: Do not try to relight sparklers that do not ignite. Wait 15 to 20 minutes, then douse and soak them with water and throw them away. Party poppers, they’re making all the best birthday parties a blast! These little firework novelties are a fun addition to any event from birthday parties and landmark anniversaries to the Fourth of July. Party poppers are so intertwined with fabulous events that some people call them Champagne poppers – that’s because if you use your imagination, the outer vessel does look a bit like a Champagne bottle! Whether you are having a kitchen-table birthday celebration for four guests or a grand hall wedding reception for four hundred, party poppers will make an unexpected and utterly appreciated touch. A party popper makes a loud popping sound that is cause by a small explosive charge. This charge is created by either compressed air or when the user pulls a small string on the device to cause a reaction of pyrotechnic chemicals. If an explosive charge is used for party poppers, the total amount compounds used is quite small, less than 16 milligrams. Once activated, a large pop is created and confetti or small streamers spew out in a festive manner. Because of the low level of pyrotechnic powders used, party poppers are often considered novelty fireworks or not even “fireworks” at all in the legal sense. This makes them more accessible in areas where there are restrictions on consumer fireworks. Usually you can find party poppers year round at your local party store or mass merchandiser. While most party poppers have a generic look, a small colored plastic canister that tapers down to a neck where the string is pulled, some are quite unusual. There are party poppers where the vessel is designed to look like a Champagne bottle or bottle of wine. Also, gun and revolver shaped party poppers look like toy versions of the real thing, but shoot out streamers and confetti when the trigger is pulled. Party poppers add lots of hands-on fun for your friends and family. Give everyone a party popper to pull at the same time as the guest of honor walks in at a surprise party — so much more fun than jumping up from behind the couch. Weddings are another special event where party poppers make a grand statement. A fantastic alternative to the traditional tossed rice send-off, the bride and groom can be showered with party popper streamers as they make their honeymoon getaway. Kids also love to have a try with these entry-level fireworks; there is really nothing they can do to mess it up. However, an adult should always be on hand to provide instruction and supervision when children are using party poppers. Sold under names including “Thunder Snaps,” “Mighty Poppers” and “Black Eyed Peas,” the products, made mostly in China, are sold in some stores in states where fireworks sales are legal. Adult snappers have explosive power similar to firecrackers. Like their child-sized counterparts, adult snappers aren’t lit; rather, they ignite on contact with a hard surface. The explosive content, however, is many times the 1.0 milligram of silver fulminate found in kids’ snaps.